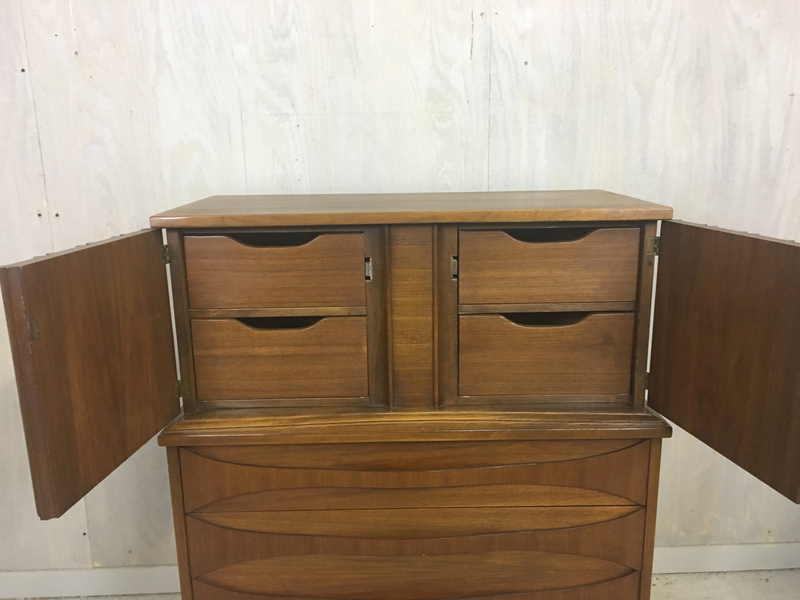 This super sturdy (we are talking built to last!) 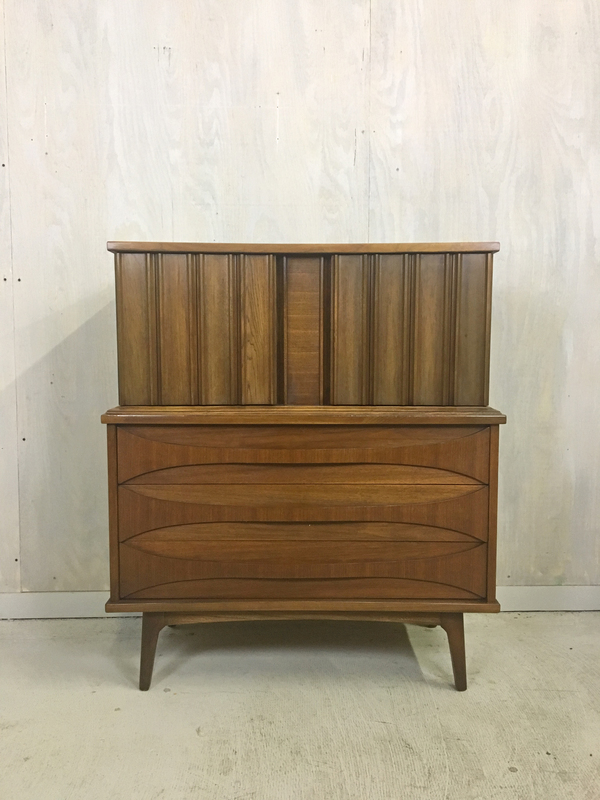 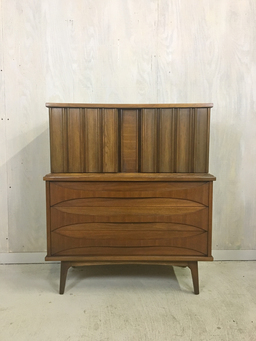 dresser has uber storage capability as well as a classic and dramatic mid century look. 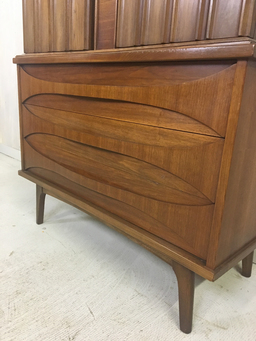 Sculptural full-drawer wood pulls, and gorgeous walnut wood grain make this a stand out piece. 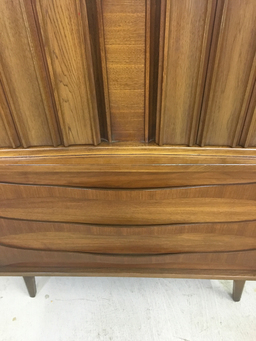 The deliberate variation in finish between the lower drawers and upper cabinet doors adds another level of interest. The piece features three generously proportioned lower drawers and upper cabinet doors which open to reveal with four interior drawers. 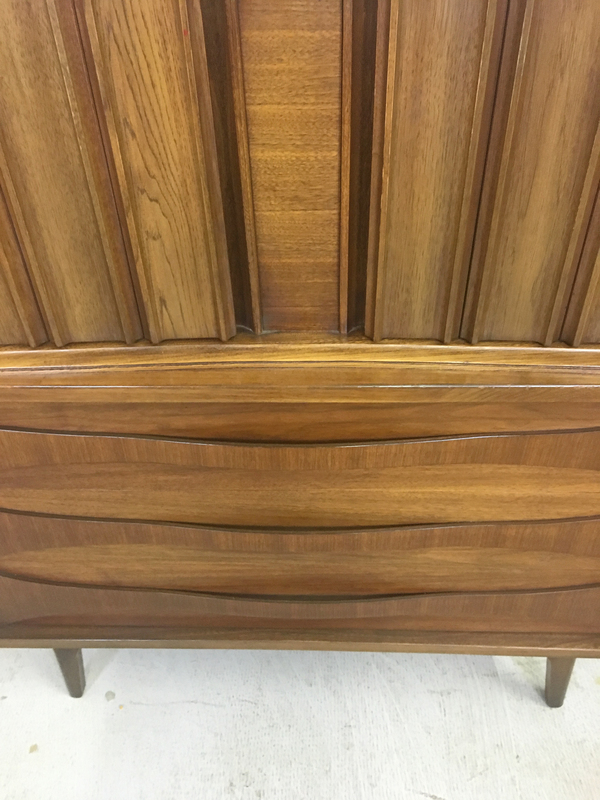 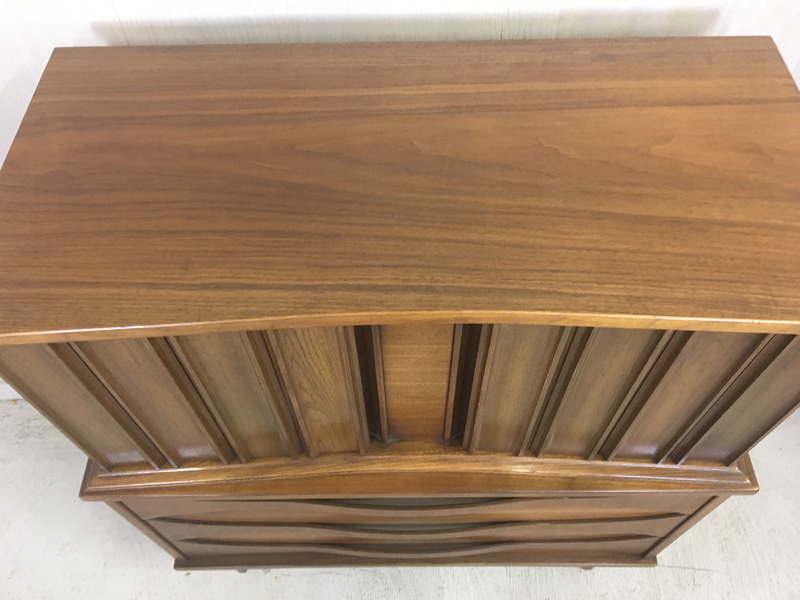 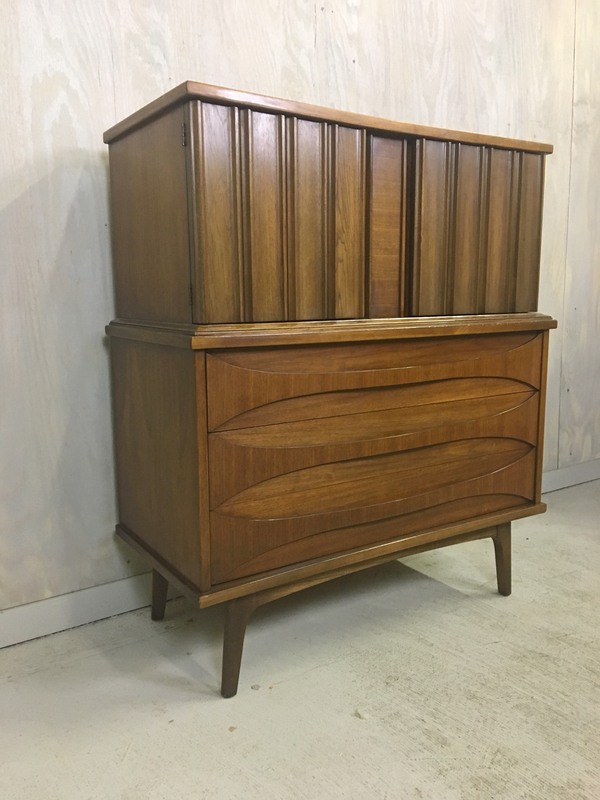 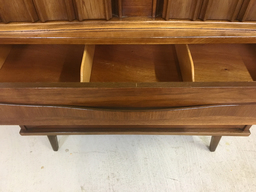 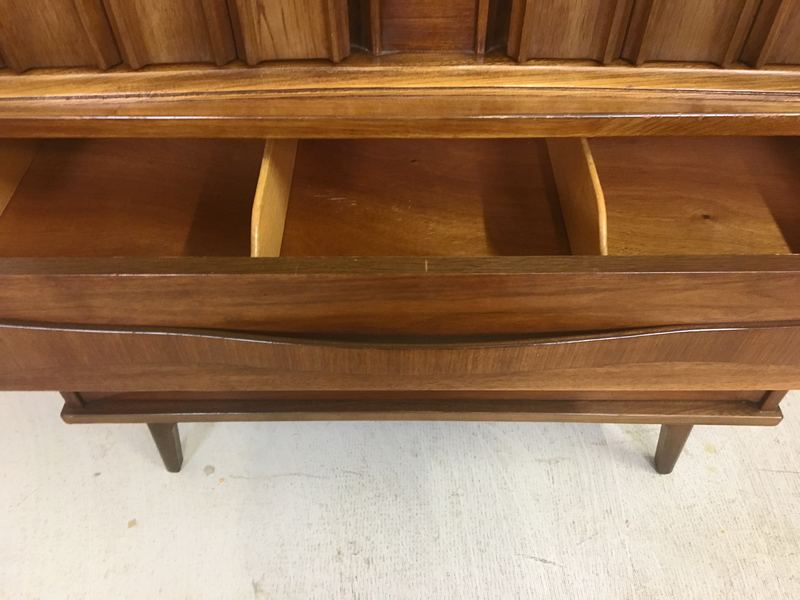 The top has been has been refinished to match the original finish and the piece is in excellent condition overall with only minor marks of age.